Working in Adelaide as a professional photographer, you have to try really hard not to work in the wine industry. Especially if, like me, you enjoy a good glass of wine. Over the past 35 years I have had several wine companies as clients. Enjoyed them all – and their wines! I feel the same way. 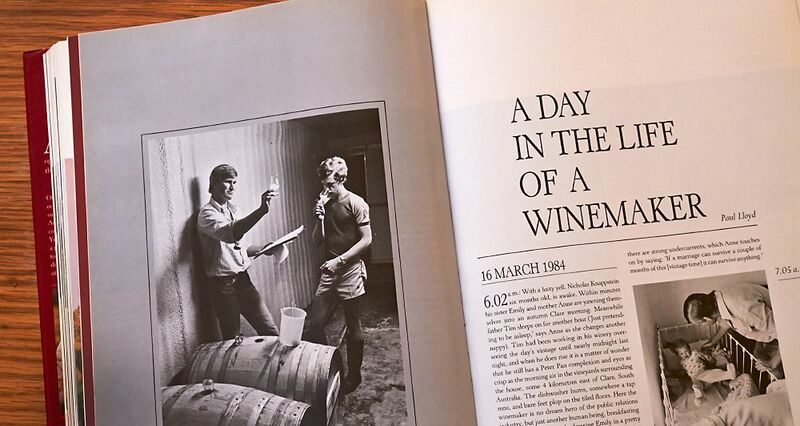 Always have since I shot a photo essay ‘A day in the life of a Winemaker’ with Paul Lloyd for Robert Mayne’s The Great Australian Wine Book (GAWB) in 1984. It had been a long day and there were two or three hours’ work to do but this did not stop Tim phoning around other wineries to find somewhere for the fruit. He found someone to take it – most likely one of Tim’s competitors. I have found over the years most people in the wine industry genuinely support and help each other out. This does not happen in many other industries. Nearly 30 years later, that series and one image of Max Schubert from Robert’s Great Australian Wine Book inspired me to undertake another project ‘A year in the life of a Wine’. It started out as an exhibition for SALA 2013. With Penfolds co-operation, in particular Peter Gago and the entired winemaking team, the exhibition became the book, A year in the life of Grange. 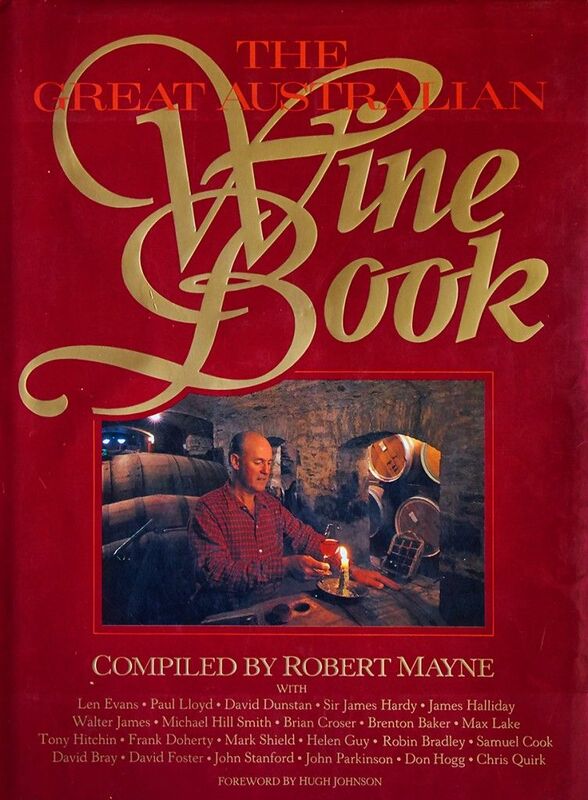 James Halliday said in a review in The Australian Wine Companion,”I’ve got well over a thousand wine books in my library and only one comes close to this.” The book went on to win a number of international awards. I often say my job gives me the best seat in the house. The Grange book certainly did. Not many wine lovers have had the pleasure of doing a vertical of Grange, 1952 to the 2010, 28 storeys up in the Mondrian penthouse in downtown Manhattan. But back to this blog. Working on Australia’s national daily The Australian in the early 1970s, one of the things I really enjoyed was what we called ‘page three interviews.’ A senior journalist interviewed (mainly) interesting people, often leaders in their field. I took a few snaps, pictures got used well, story was interesting. Great gig ! I learnt a lot, just by being there and listening. Wolf Blass 1977, one of the many Aussie page three snaps. Photo by Milton Wordley. Now that I’m doing it all myself, I have a new found respect for the journalists, they did a great job often with tight deadlines. After 45 years working as a professional photographer, I thought I’d have some more fun with my job and improve my own wine knowledge by interviewing interesting people. 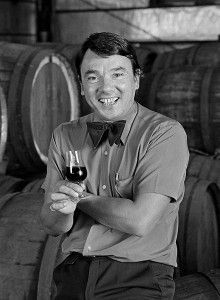 The blog is based on those I have met along the way while working in the wine industry over the years and on the Grange book. It’s a simple Q&A and the A’s are great. There are hundreds of wine web sites and blogs devoted to endless reviews of wine and opinions of just about everything to do with the wine industry. I enjoy many and subscribe to plenty. But there are very few on the people who grow, make and drink the stuff. ‘People of Wine : Ten Questions’ is about their stories, their views and their opinions. I hope you enjoy them as much as I have along the way. *The views expressed on this site are those of the respondents, no responsibility is taken for them.